"I've heard mothers go through ten or twelve names before they get lucky and hit the right one." This is so relevant to me. Ask my children. They will tell you that they would just keep doing whatever it was that was annoying me because they were hoping I would blame whoever's name I stopped on. Eventually I caught on. After so many names I would tell the offender, " you live in my house. I will find out who you are. Tell me your name now." Sometimes they gave me a wrong answer. I now get revenge. When my daughter says that to her children, I whisper a name in the child's ear. "One day, we were eating more and paying less and the next there were two hundred and seventy-eight products on the market to help out our hamburger." Do I even need to explain this to anyone? Wouldn't Mrs Bombeck be shocked to know that all those helps for hamburger cost as much if not more than the hamburger it is helping? It is funny to think back at how products were made to make cooking for, and feeding, a family easier and here we are decades later trying to go back to home cooked foods without the helpers. When Did I Become the Mother and the Mother Become the Child? This part touched me the most out of the entire book. You must read this. Buy the book, ask a friend to loan it, borrow from the library. However you can, read this part. I loved this book. From start to finish it was fun reading. If Life Is a Bowl Of Cherries, What Am I Doing In The Pits tickled my funny bone and touched my heart. The new version for the kindle contains an added part. A Biography of Erma Bombeck. I enjoyed reading about her. She wrote from the heart. There are photographs included of Mrs Bombeck and her family. They look very nice on the Kindle. What a beautiful bride she was. I recommend this book and am very happy to see it released in ebook form. 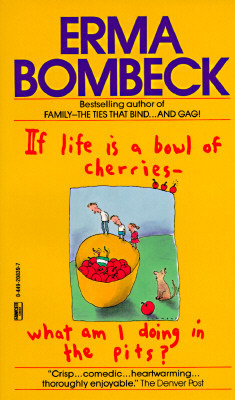 Erma Bombeck has an author page on Amazon where you can find all her books. 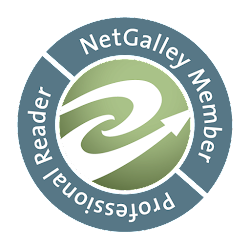 Goodreads also has an author page for her.